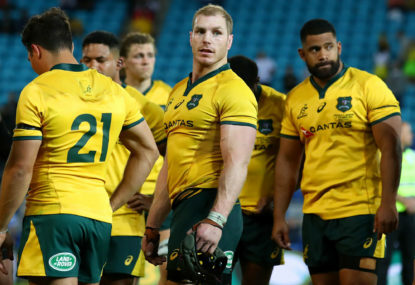 Rugby Australia has moved to appoint Scott Johnson as Director of Rugby, moving Michael Cheika to the door, though he hasn’t been quite booted out of it just yet. 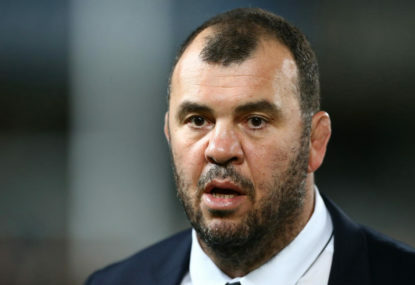 If you Wallabies fans right now if they would rather see Michael Cheika or anyone else on the planet coach the team at the World Cup, a large percentage would choose the latter. Is the 'Tongan Thor' truly ready for Test rugby? Few rugby players have public nicknames. 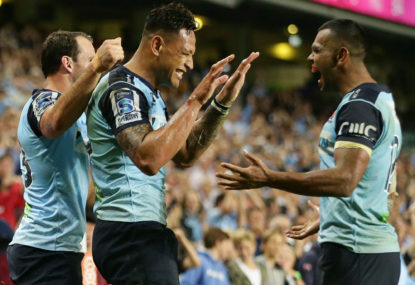 One of World Rugby’s favourites, the ‘Honey-Badger’ is currently trying to find love on Channel Ten, but we’re not quite at the NBA level yet where seemingly everyone who makes a three needs to have a catchy handle. A pin drop could be heard in the jam-packed Canberra pub. Lukhan Tui was tussling with a fan on the big screen, Rod Kafer was asking stock-standard questions to a distraught Reece Hodge and my mate Morgo was frantically ordering several schooners to numb the pain of this most recent Wallabies debacle. Yes I agree it would, but the potential cost to the general vibe surrounding rugby this next period for the sake of a slim chance of winning the World Cup is not enough to retain him for mine. Thanks for feedback though. 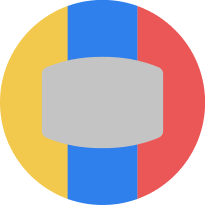 Appreciate feedback and agree, a candidate needs to be found but my argument is that no matter who it is, they will lift the current malaise surrounding the team. It won’t get better sticking but I agree list of candidates is not strong right now. 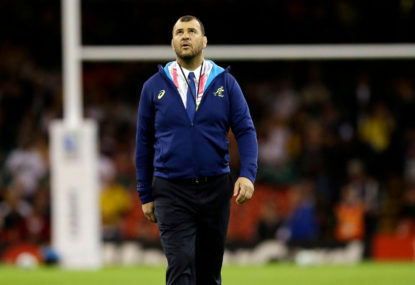 My argument is change needs to occur because of the toxic environment surrounding the Wallabies and a new coach whoever that may be would bring with them a sense of hope. Bit of a silly argument given on that basis nobody can write about anything in sport if they’re not the team doctor. It’s an observation and you haven’t actually tried to argue anything I wrote. P.S you don’t know what insight I may or may not have based simply on being a ‘Roar Rookie’, strawman in your feelings argument. Expect more from a so-called ‘Pro’! He dominates for one or two then is out of gas, which was my point. I like that he’s explosive, but again, I’m asking if he’s ready for test footy, not if he will ever be. No, if you read it I’ve said it’s about the Test level, and that he has looked very tired in his limited minutes at that level. Also said I hope I’m wrong because of how good he can be. Take the point, you want the best players available on the team but prop is different, and playing both sides is difficult, especially at Test level. 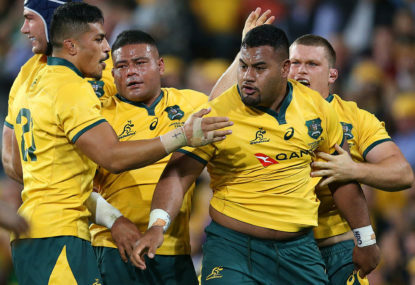 Kepu struggled against Argentina doing it, and Alaalatoa hasn’t done it for years.